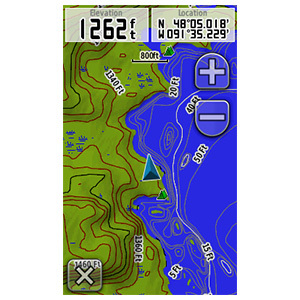 Get highly detailed inland lake and topographic maps for the Boundary Waters Canoe Area Wilderness. 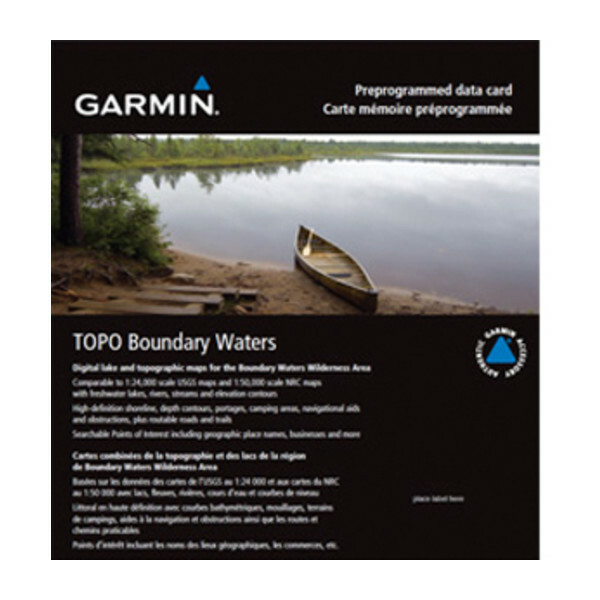 These maps include freshwater lakes and rivers, high-definition shorelines, underwater depth contours, terrain contours, elevations, summits, portages and camping areas. 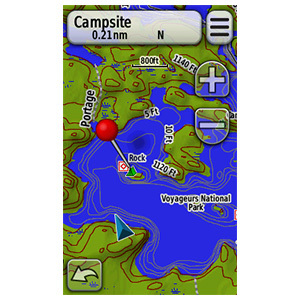 Provides inland lake detail, including creek channels, streams, fishing locations, boat ramps and marinas. Features detailed topographic maps, comparable to 1:24,000 scale USGS maps and 1:50,000 scale NRC maps. 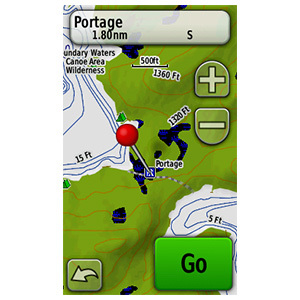 Provides navigational aids, wrecks, obstructions and hazards, and searchable points of interest (including geographic place names, campgrounds, entry points and businesses). 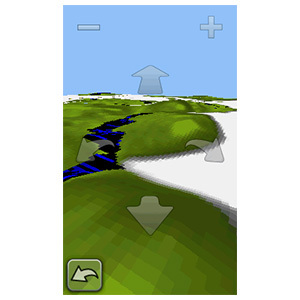 Displays dense contour intervals combined with digital elevation model (DEM) shaded relief on compatible devices to help estimate terrain difficulty. Provides routable road content for accurate directions to your destination. 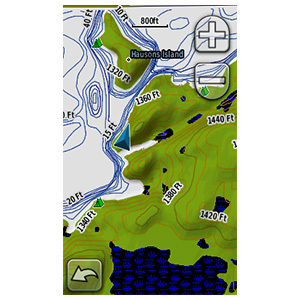 Features current USGS quad names or townships, ranges and sections on your compatible device. De bestandsgrootte van deze download en de vereiste ruimte op het toestel of de microSD™/SD™ kaart is 70 MB. Als deze download niet op uw toestel past, kunnen de gegevens worden opgeslagen op een microSD/SD kaart (hergebruikte microSD kaarten kunnen worden gebruikt om kaartgegevens te programmeren). 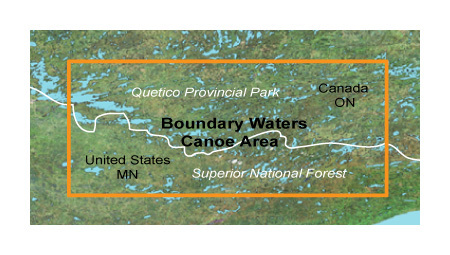 Features lake and topographic map coverage for the Boundary Waters Canoe Area Wilderness, located between Ontario, Canada, and Minnesota on the Canada-U.S. border. Extended coverage of Quetico Provincial Park, plus coverage of Superior National Forest.